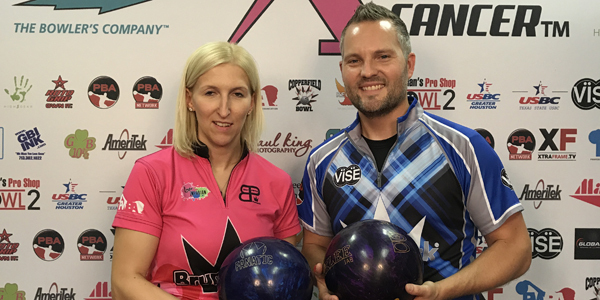 HOUSTON, Texas (July 30, 2017) – Jason Sterner of Cocoa, Fla., and “replacement” partner Birgit Poppler of Germany defeated Australia’s Jason Belmonte and Diandra Asbaty of Chicago in the final game to win the 18th PBA-PWBA Xtra Frame Striking Against Breast Cancer Mixed Doubles title at Copperfield Bowl Sunday. Sterner, who won his only Professional Bowlers Association Tour title in the 2013 Don Carter Classic in Detroit, teamed up with Poppler, who was in the United States as a Professional Women’s Bowling Association competitor, after his original partner was forced to cancel due to an injury. Trailing Asbaty and Belmonte by 10 pins heading into the final position round match, Sterner threw a 258 game and Poppler a 204 for 462 total pins, topping Asbatay’s 178 and Belmonte’s 254 by 30 pins to overcome the deficit. The winners, who won five consecutive matches earlier in the round to dig out from a 238-pin deficit, split $16,000 in prize money. Poppler, a veteran member of Germany’s national bowling team, also earned her first PWBA Tour title. Four-time past winners Shannon Pluhowsky and Tommy Jones, and three-time winners Shannon O’Keefe and Bill O’Neill failed to qualify for the match play finals. Pluhowsky and Jones finished in 12th place while two-time defending champions O’Keefe and O’Neill finished 36th. 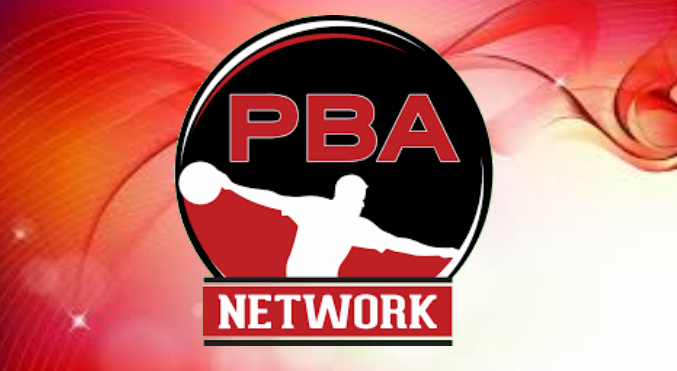 PWBA players now head to Plano, Texas, for the U.S. Women’s Open Tuesday through Sunday, PBA Tour players will begin the final three weeks of PBA Xtra Frame Storm Cup series competition in the Xtra Frame Chesapeake Open from AMF Western Branch in Chesapeake, Va., Aug. 12-13. 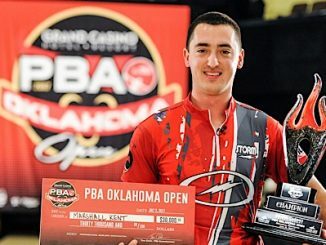 Immediately following will be the Xtra Frame Gene Carter’s Pro Shop Classic from Mid-County Bowling and Entertainment in Middletown, Del., Aug. 19-20, and the Storm Cup series finale, the Xtra Frame Kenn-Feld Group Classic from Pla-Mor Lanes in Coldwater, Ohio, Aug. 26-27. All preliminary rounds of the U.S. Women’s Open and start-to-finish coverage of all three Storm Cup events will air live on PBA’s online live streaming channel, Xtra Frame. For subscription information, visit xtraframe.tv. 1, Birgit Poppler, Germany/Jason Sterner, Cocoa, Fla., 6-2, 8,799, $16,000. 2, Diandra Asbaty, Chicago/Jason Belmonte, Australia, 4-3-1, 8,749, $8,000. 3, Natalie Cortese, Hoffman Estates, Ill./Brad Miller, Raytown, Mo., 6-2, 8,677, $5,000. 4, Jenny Wegner, Sweden/Connor Pickford, Plano, Texas, 5-3, 8,663, $4,000. 5, Lynda Barnes, Double Oak, Texas/Chris Barnes, Double Oak, Texas, 1-7, 8,639, $3,000. 6, Bryanna Caldwell Cote, Red Rock, Ariz./Stuart Williams, England, 3-4-1, 8,602, $2,500. 7, Erin McCarthy, Omaha, Neb./AJ Johnson, Oswego, Ill., 3-5, 8,494, $2,350. 8, Maria Rodriguez, Colombia/Nathan Bohr, Wichita, Kan., 3-5, 8,484, $2,250. 9, Lindsay Boomershine, Perry, Utah/Kyle Troup, Taylorsville, N.C., 5,097, $2,180. 10, Clara Guerrero, Colombia/Andres Gomez, Colombia, 5,078, $2,100. 11, Holly Harris, Wichita, Kan./Devin Bidwell, Wichita, Kan., 5,055, $2,050. 12, Shannon Pluhowsky, Dayton, Ohio/Tommy Jones, Simpsonville, S.C., 5,049, $2,000. 13, T’nia Moore, Greensburg, Pa./BJ Moore, Greensburg, Pa., 5,016, $1,950. 14, Liz Kuhlkin, Schenectady, N.Y./Ryan Shafer, Horseheads, N.Y., 5,011, $1,900. 15, Rocio Restrepo, Colombia/Joe Hostetler, Louisville, Ohio, 5,009, $1,850. 16, Jamie Martin, Omaha, Neb./Sean Rangel, Omaha, Neb., 5,005, $1,800. 17, Amanda Greene, Romney, W.Va./Kyle Sherman, O’Fallon, Mo., 4,989, $1,750. 18, Josie Earnest-Barnes, Nashville, Tenn./Kyle Barnes, Smyrna, Tenn., 4,986, $1,700. 19, Daria Kovalova, Ukraine/AJ Chapman, Manchester, Iowa, 4,980, $1,650. 20, Liz Johnson, Chicago/Sean Rash, Montgomery, Ill., 4,979, $1,600. 21, Shannon Sellens, Copiague, N.Y./Anthony Pepe, East Elmhurst, N.Y., 4,968, $1,550. 22, Carolyn Dorin-Ballard, Keller, Texas/Michael Tang, San Francisco, 4,960, $1,500. 23, Jasmine Coleman, Manteca, Calif./Vernon Peterson, Winter Haven, Fla., 4,957, $1,450. 24, Allie Ijams, Wichita, Kan./Kevin Tatrow, Wichita, Kan., 4,952, $1,400. 25, Brittany Smith, Des Moines, Iowa/Nick Pate, Inver Grove Heights, Minn., 4,943, $1,350. 26, Natalie Goodman, O’Fallon, Ill./EJ Tackett, Huntington, Ind., 4,938, $1,300. 27, Christina Kinney, Las Vegas/Robert Lawrence, Del Valle, Texas, 4,935, $1,225. 27, Karen Boyd, Fort Lauderdale, Fla./John Janawicz, Winter Haven, Fla., 4,935, $1,225. 29, Brittni Hamilton, Nashville, Tenn./Rob Gotchall, Clarksville, Tenn., 4,934, $1,150. 30, Tannya Lopez, Laredo, Texas/Matt Cabanski, Cibolo, Texas, 4,910, $1,100. 31, Missy Parkin, Laguna Hills, Calif./Dave Wodka, Beavercreek, Ohio, 4,901, $1,050. 32 (tie), Anne Marie Duggan, Edmond, Okla./Steven Badovinac, Monument, Colo.; Kayla Johnson, Washington, Ill./DJ Archer, Houston, Texas, 4,887, and Anggie Ramirez, Austin, Texas/Anthony Simonsen, Austin, Texas, 4,887, $960. 35, Cajsa Wegner, Sweden/Mike Austin, Houston, Texas, 4,875, $870. 36, Shannon O’Keefe, O’Fallon, Ill./Bill O’Neill, Langhorne, Pa., 4,867, $840. 37, Laura Plazas, Colombia/Clint Land, Houston, Texas, 4,858, $780. 38, Katie Garcia, Wichita, Kan./Geoffrey Young, Keller, Texas, 4,856, $740. 39, Stefanie Johnson, McKinney, Texas/Chris Johnson, McKinney, Texas, 4,802, $720. 40, Keli Callahan, Las Vegas/Sam Cooley, Australia, 4,676, $700.